Most of us think nothing of holding onto a grab bar or a safety rail in a train or tram car to keep our balance or avoid falling, so why not use one at home? Grab bars are a tricky subject. To some, having them or even talking or thinking about them indicates or suggests a sign of weakness or aging. To admit that they are needed means that part of their balance, agility, or vitality may be lessening. To others, grab bars just make good sense to have – one never knows when they might come in handy or prove to be helpful. To still others, they are essential and are relied upon getting in and out of the tub or shower, rising from the toilet, and even going back and forth from the living room to other parts of the home when they are installed horizontally in hallways and other parts of the living area. There can even be grab bars near the entrance doorway or from the garage into or out of the home. In fact, these are beneficial and recommended. As it turns out, grab bars are the number one home improvement that is done by people wanting to remain in their home and age in place. Some three-in-four people are having this done or doing it themselves. Grab bars have not enjoyed this type of openness until quite recently. Going back a decade or so, and people came up with better sounding, softer terms for grab bars so as to make them less of a medical or aging device and more of a design element. They were termed assists, safety assists, shower rails, safety rails, hand bars, handrails, and other such names to keep from calling them or referring to them as grab bars. Now, people openly want them and have made them the number one home improvement accessory – without the need to camouflage the name into something nicer sounding. Interestingly, the same evolution has happened to the design and the appearance of grab bars. From the brushed nickel, stainless steel, or polished chrome appearance that people used to object to because of their institutional-like appearance, we have run through many iterations of design and appearance only to return to where we started. Those original finishes are now the most requested. Along the way, we had grab bars or various materials including wood and ceramic. We have had them in multiple colors as well. We even experimented with various shapes. All this just to return to where we were essentially although the other designs, finishes, and colors are largely still available. Having a grab bar at the entrance to the tub or shower makes perfect sense, and as such is more than an aging in place design. It is a universal design feature because it applies across the board to everyone. All of us risk a temporary impairment just by going about our daily activities – a muscle or tendon strain, a puncture wound on the foot, a twisted ankle, carpal tunnel, dizziness from an allergy or illness, vision issues, balance impairment from medications, or minor surgery affecting the foot or leg – among other things that might happen. Add to this just slipping on a wet surface entering or leaving the shower or tub, being distracted, or having our vision obstructed with a towel. In order for grab bars to offer the safety and effectiveness they are intended to provide, we need to be in the habit of using them – to develop the muscle memory to grasp them and the familiarity of where they are. None of us gets into a car today without instinctively reaching for the seatbelt to latch it – this is the same type of habit we should be creating with grab bar usage. It’s not complying with a law, and no one is checking to make sure they are used. They are just there for our safety and protection, so why not use them? What if we got soap or shampoo in our eyes and needed to find our way to the towel? Besides our tub or shower or entrances into the home, think of the public places we go where there are grab bars that are in widespread, common usage. At swimming pools – public or private – there are rails (grab bars) to use the steps to ascend or descend the pool safely. After all, it can be slippery. 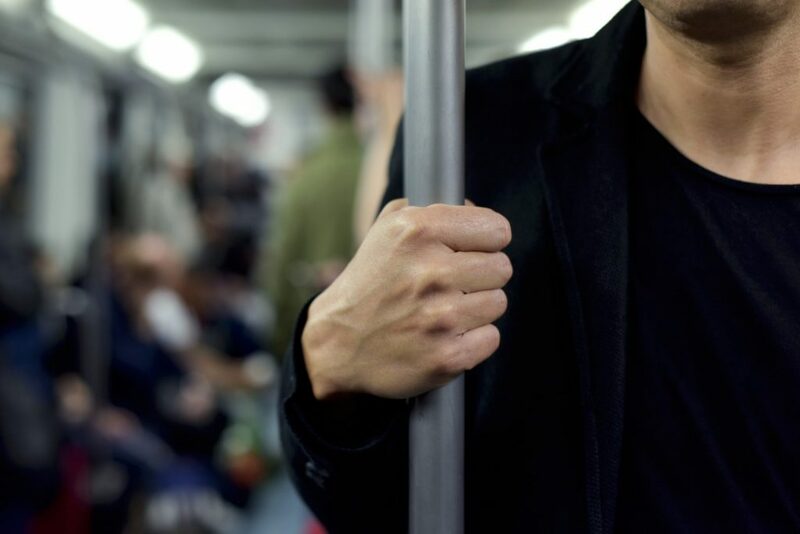 On trains, subways, and airport shuttle trams, grab bars are essential to keep from getting tossed about as the cars lunge forward from a stop or rapidly decelerate for a station stop. Getting in or out of the passenger side of a vehicle or van – ours, that of a friend, or a public vehicle like an Uber, limo, or shuttle – think of how helpful a grab handle os to help us. There are many other examples, but call it as we will, a grab bar by any other name, description, or application is just as effective and desirable. So is really that big of a deal to have one (or more than one) in our homes and to use it?